what lies beneath, but also to wonder about what lies ahead. 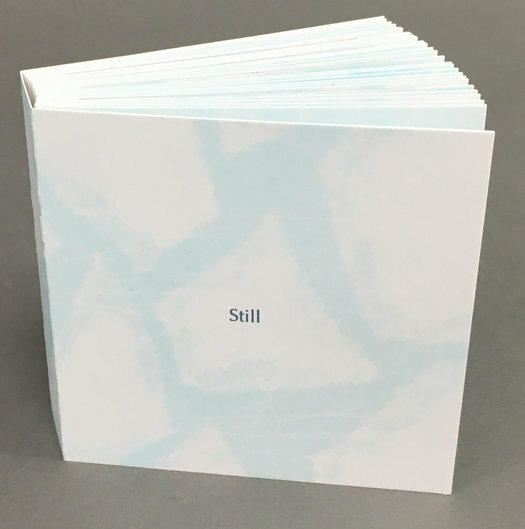 This artist’s book features a letterpress printed poem, and was created using drypoint etching, polymer plate, and pressure printing techniques. 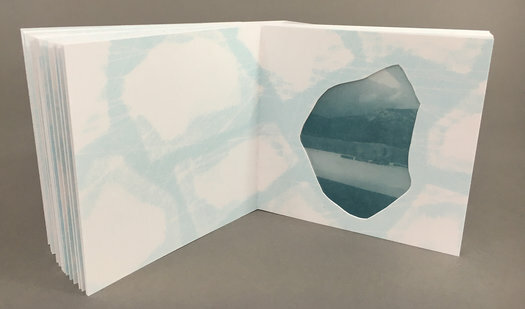 Ariel Hansen Strong is a book artist, printmaker, and designer based in San Francisco, CA. Her interest in artists’ books began while studying sculpture at the San Francisco Art Institute (BFA 2011). 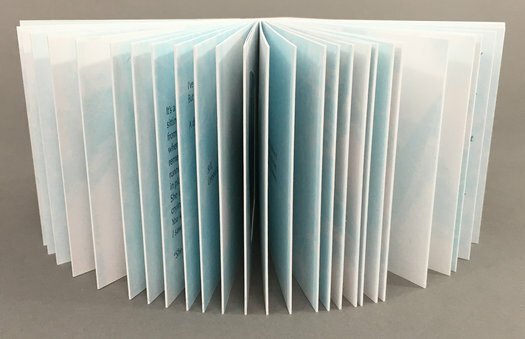 She utilizes the form of the book in her work because it calls for an intimate experience of blended text and visuals. Strong is a creative member of Pianofight, San Francisco’s theater and arts production company and venue. She formed Cloudship Creative in 2011, a vendor of printed goods and handmade journals. 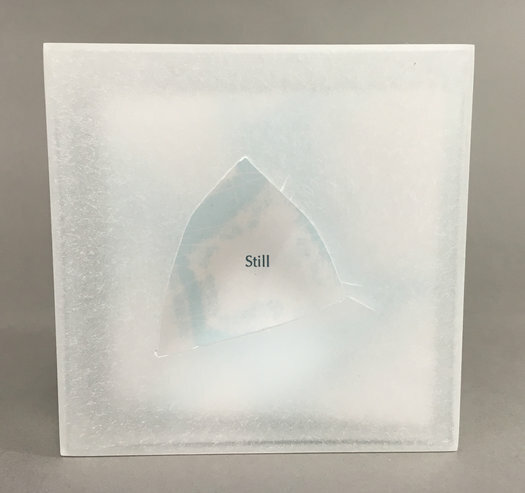 Strong received her MFA in Book Art & Creative Writing from Mills College in 2015.